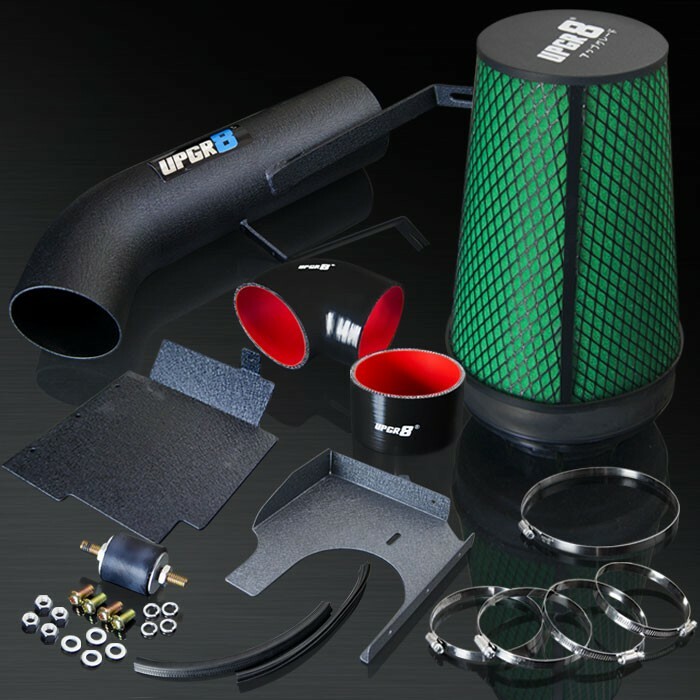 Brand new UPGR8 U8501-0604 High Performance Black Cold Air Intake System Kit with Green Air Filter. The 4'' tube and heat shield made of high quality aluminum with wrinkle black finish, and the filter made of high quality 2-layer high density filter foam with double reinforced stainless steel mesh. Direct bolt on design to give your car 6-12 hosepower and 8%-10% power torque increase, and it is engineered to improve performance and gas mileage.WE OFFER LIFETIME LIMITED WARRANTY. This dry air filter is NOT reusable and washable. This cold air intake kit is NOT street legal C.A.R.B. exempt or pending C.A.R.B exemption for 50 state legal.